Recently, I received a great compliment in regards to my photography. I was told that I “make the best better.” I had never heard such a statement, but in that moment, I felt so proud. The more I think of that statement, I am taking it as a way to live. MAKE THE BEST BETTER. Often in life we get great at something and instead of pushing forward, we plateau…. I am determined to make my BEST even better. I want my clients, friends and family to always get enjoyment out of what brings me joy — creating images. I love to learn more techniques and styles without changing who I am as a photographer. 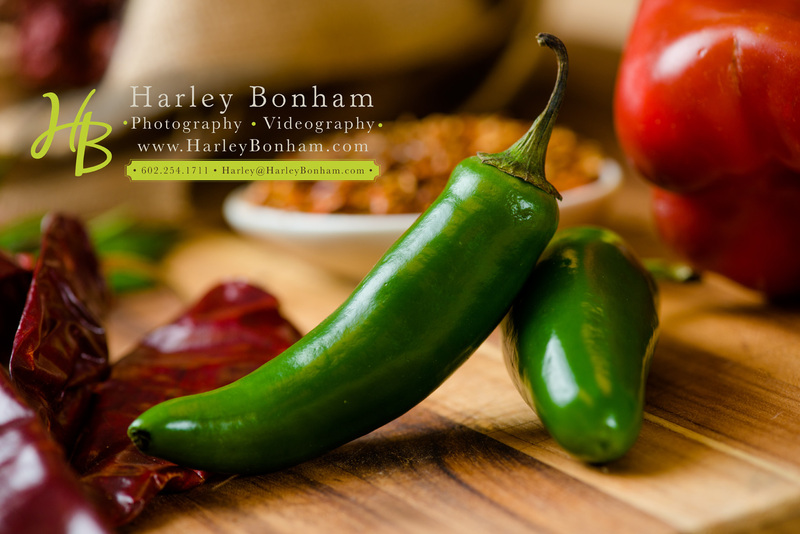 Sometimes this is my greatest challenge, but I believe this mindset is what has built Harley Bonham Photography into something that I am incredibly proud of. So, here’s to all the folks out there who have supported me over the years and to those who will continue to be by my side! Let Music Sing For You…. Every bride and groom have the choice to make their day as personal as they want. Joe and Dori (wedding at Desert Botanical Gardens) really knew how to add that extra “something” to their ceremony when they included musicians who were close to them to play for their big day. I really enjoyed capturing the moments they shared and the different look it gave to the ceremony. 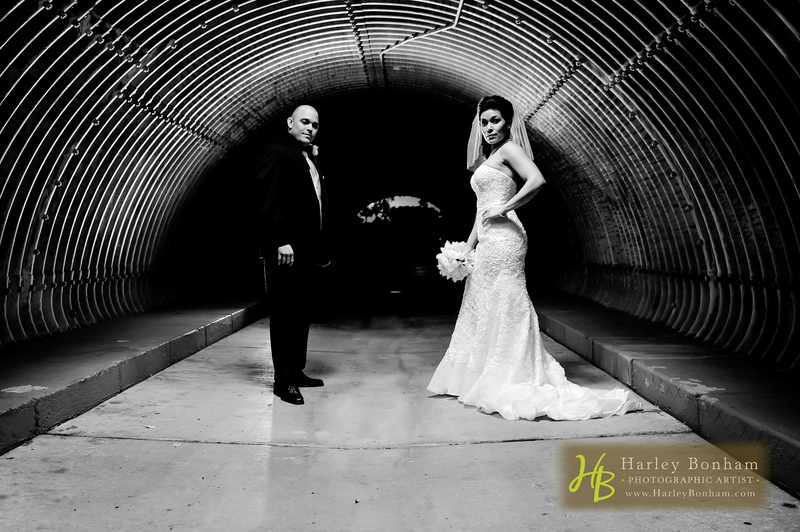 Adding a little drama to your wedding images is a great way to change up the flavor! It adds that extra spice to your coffee-table album, Facebook album, blog post, or whatever way you choose to show off the adventures of your big day! 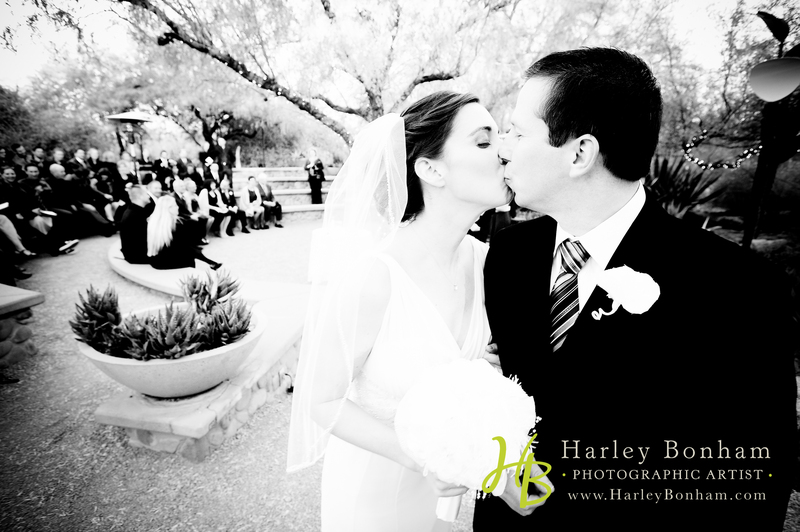 Lisa and Johnny (above) had a spectacular wedding in December at Val Vista Lakes in Gilbert, Arizona. I am always honored to be a part of such a great couple’s new beginning together! Capturing their love on their wedding day was so fantastic. There are so many blogs on the topic of having a wedding day overlap a national holiday. Some couples choose holidays such as Valentine’s Day or New Year’s Eve because of their romantic appeal. I think having your wedding day overlap a national holiday greatly depends on your preferences and your personal connection to the holiday. The Knot was asked this very question on their blog and got a lot of opinions from both sides of the discussion. It all started when a Bride asked The Knot bloggers if it was proper to have a wedding on New Year’s Eve. The Knot replied “Why not? Everyone wants to do something festive on New Year’s Eve — what’s more festive than watching two people get married and then toasting them all night?” The Knot went on to advise maybe doing midnight vows, and truly celebrating the day. I have shot many weddings; some large and some very intimate. In the end, the day is about the Bride and the Groom. Either way, when the Bride and Groom have that first kiss as husband and wife, the only people they are paying attention to at that moment is eachother. Why should deciding the day or hour of your big day be any different? New Year’s Eve is a time for celebration; weddings hold that same flavor so why not combine them? Lauren and Travis decided to get married this past New Year’s Eve. Personally, I think it was super romantic and a fun way to celebrate the New Year with their loved ones. Their wedding reception was ready to ‘ring in the new year’ and I had a great time being a part of it. Make the New Year FRESH for you and your spouse! Julie and I like to make sure that we have time for US. We love our daughter so much, we want to always be the best of parents, but we also want to remain united. Over the years, our date nights have proven to be such a great way to get our minds away from any stresses or concerns our jobs or lives may bring. Pinterest has so many great pins on how to keep your relationship fresh. One idea I came across was the Date Box. Keep date ideas in a box and when you want to get out pull an idea from the box. Some can be as simple as ordering in and watching your favorite movie…while maybe some are more extravagant. Some good date ideas are…. Pin with me here for MORE ideas!